Doctor Who: Non-Screen To On-Screen, Part 2 | Warped Factor - Words in the Key of Geek. 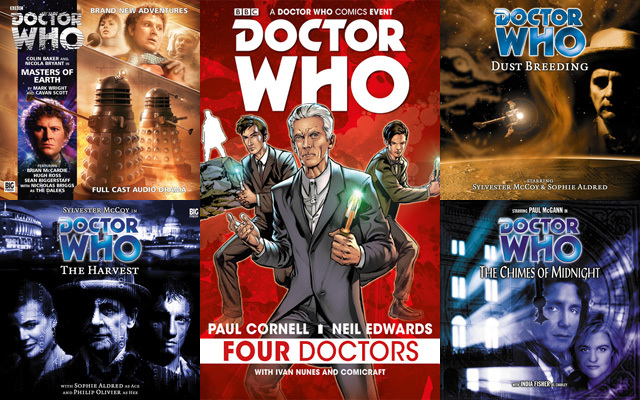 We recently began a series looking at stories from fifteen years of Big Finish and two years of Titan Comics that could relatively easily – and to great effect – be translated into on-screen adventures. Part 1 is here, today we look at titles 6-10 on our wishlist of would-be on-screen adventures. The Chimes of Midnight is, above all, intensely creepy. 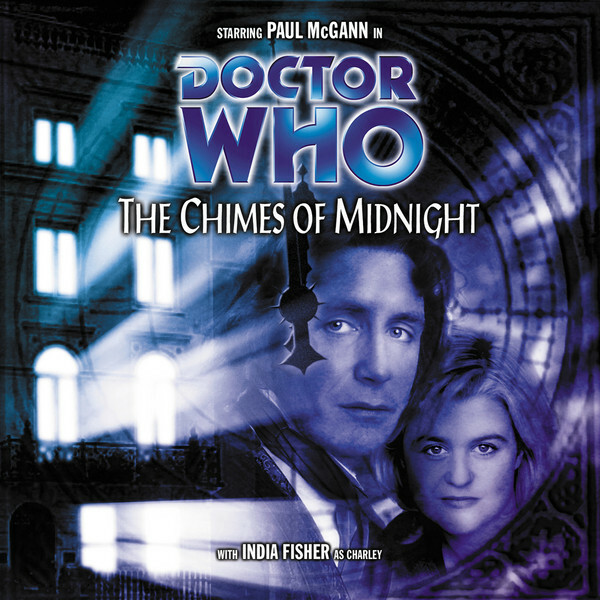 To some extent its signature element – murders on the hour, every hour, has been appropriated by Jamie Mathieson’s Mummy On The Orient Express, and technically, there’s a Charlie-centric element to this Eighth Doctor house of horror, but it’s not as though the Twelfth and future Doctors don’t have friends in the Victorian/Edwardian era. We’d suggest a one-third Paternoster plot twist, with the Doctor taking Jenny along to see a little of her future (the post-Victorian era), and getting stuck in the house where the chimes of midnight takes place. Where the original had Charlie giving her history from an ‘above-stairs’ perspective, Jenny could give us a ‘downstairs’ perspective, while we learn more about her earlier, pre-Vastra life, and how she came into Vastra’s service, house and heart. While, obviously, defeating the spooky-as-hell evil of the house. 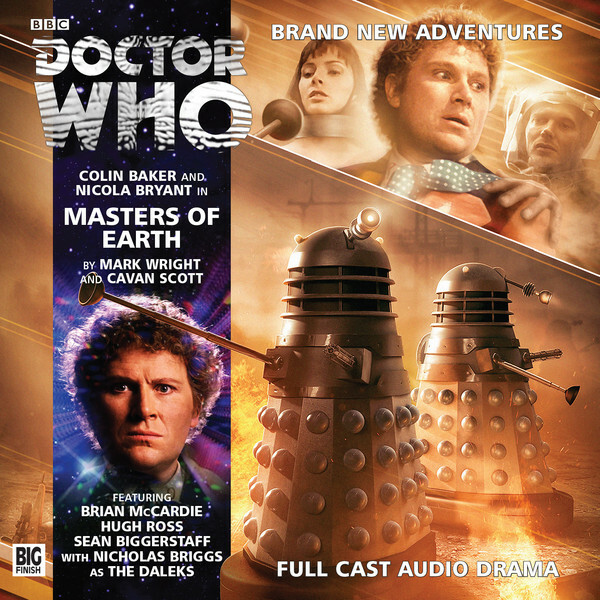 Masters of Earth was a masterstroke of story advancement and retro Dalek cool. Dropping the Sixth Doctor back into the Dalek Invasion of Earth, but in a remote Scottish location, ahead of the First Doctor’s arrival, it confronted him with the impossibility of actions that would upset the established history of the resistance and the eventual repair work in the wake of the Dalek conquest. Who better to bring this story to life on-screen than the modern Scottish Doctor, with his anti-war stance and his occasional tendency to bend the laws of time when particular people demand it of him? For TV presentation, it would probably need more Dalek-centric peril – perhaps a pre-existing Dalek plan that, when foiled, makes them focus on the idea of drilling to the core of the planet through a hole in…erm…Bedfordshire. Trap the Twelfth or a future Doctor between ruining events that his first incarnation needs to encounter and possibly stopping the Dalek invasion before his earlier self even gets there and saving lives in the process. Plus, Masters of Earth would feature the return of retro satellite-dish Daleks, leather-clad Robomen (and women, possibly?) and some seriously active Varga plants – everything you could want in an early Dalek story, brought screaming up to date for New Who. Dust Breeding has some conventional elements, but its central premises, including Munch’s The Scream, a phenomenal psychic power trapped within the painting, a community of artistic hippies on a distant, dusty world and the return of the Beevers Master make it something special. 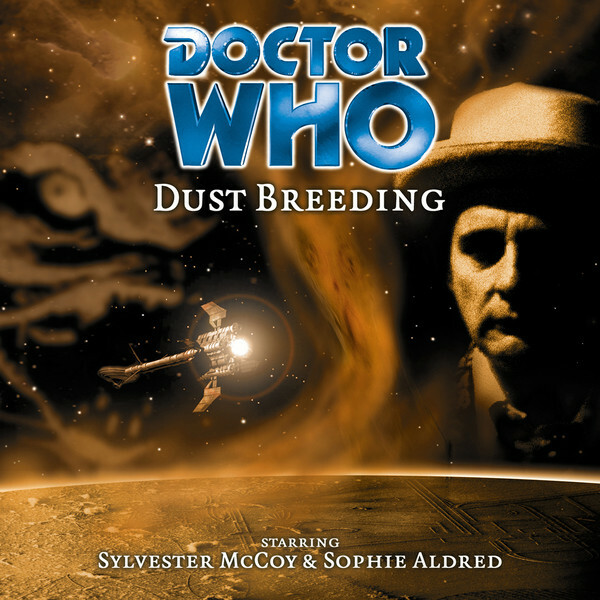 Originally a Sylvester McCoy story, with some strong Ace elements in terms of her interest in art, it could be reworked for a modern Doctor with very little in the way of tweaking. What’s more, with a Doctor like the Twelfth, the energy would be contradictory – rather than the Seventh Doctor adding to the mystery, the Twelfth would be a kind of ramrod of scepticism in the middle of all the hippie, artistic malarkey, and would be rather more cruelly sarcastic to the reborn Beevers Master. In Part 1, we nominated Master as the first post-Gomez Master story, but given that Dust Breeding was the first Master story on Big Finish, and gives an in-built explanation of how the previous (at the time, Eric Roberts) Master had met his end and reverted to the Beevers incarnation, this should probably precede Master to re-establish a post-Gomez incarnation. 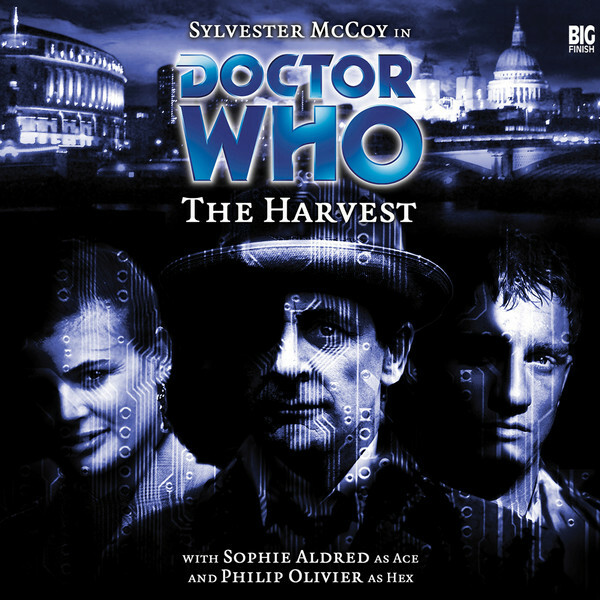 The loose trilogy of Cyber-stories – The Gathering, The Reaping and The Harvest - each did something unique with Cybermen and companions. The Gathering took the Fifth Doctor back to visit an older Tegan who still hadn’t quite forgiven him for the effect he’d had on her life. That’s certainly still a workable story, and would bring Janet Fielding back to on-screen Who perhaps for a slightly different ending of absolution. The Sixth Doctor story, The Reaping starred eighties and ‘future’ Cybermen taking over a town in middle America, but the core of the actual drama revolves around Peri going home to face the music of leaving her family high and dry in Lanzarote – a story which has arguably been re-run in New Who in episodes like Aliens of London. But The Harvest, as well as introducing a new companion, brings a new way to scare the bejesus out of junior viewers – Cybermen in hospital. Plus, with a tweak here and there, it could be seriously body-horrific on-screen; the story of Cybermen who apparently want to return to their time of flesh and blood could be a great excuse to re-develop the formaldehyde-stinking half-and-half nightmares inside the Mondas Cybermen’s bandages. If you wanted to, you could even thread in a ‘right to die’ theme, rehumanising Cybermen screaming to be allowed to succumb to the frailties of the flesh, before the demands of Cyber-logic and steel resurrect them to their Cyber-zombie lives. Great ideas, great visuals, and an admittedly dangerous game making hospitals scary for young viewers. Always remember, kids, the Doctor will keep you safe from the monsters, even in hospitals. Never a fandom short of reasons to celebrate, this Titan Comic series from Paul Cornell was something truly special for Who-fans. Bringing the War, Tenth, Eleventh and Twelfth Doctors together in a way that was – whisper it quietly – cooler and more inventive than ‘Fun With Zygons’ as a way of celebrating the 50th anniversary, there’s no inherent reason why this storyline couldn’t work on-screen, though you’d have to put a bit of cash aside to do justice to Neil Edwards’ artwork, and technically there’s a scene – one glorious scene – at the end which seems unlikely ever to be filmed. But using film sequences to re-run some of the New Who Doctors’ biggest moments and mistakes, and swapping their on-screen companions out for their comic-book equivalents, there’s every reason to imagine that having four Doctors on screen together could pique the interest not only of hyperventilating fans but a more general audience too, as well as those fans who are Doctor-specific. 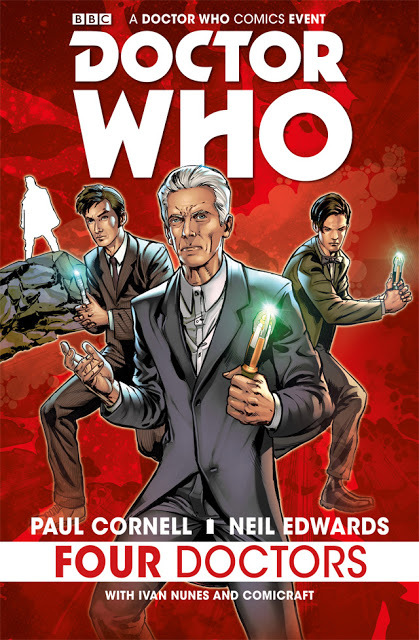 Cornell’s writing for the modern Doctors is ridiculously spot-on, and significantly sharper and edgier with the introduction of the Twelfth Doctor to the mix than Steven Moffat allowed himself to be for The Day of the Doctor, so assuming a big occasion – perhaps immediately prior to a Twelfth Doctor epic battle with darkness and regeneration – The Four Doctors would be a superb addition to the on-screen history of the universe’s favourite Time Lord. Part 3 of this series will be coming soon, but in the meantime, what do you think? Which non-screen stories deserve a shot at on-screen glory, and how would you realise them? Let us know in the comments below.